Coach Daniel Hutchinson doesn’t really consider himself a specialist, but his areas of expertise include mobility, Olympic weightlifting and gymnastics. Daniel is a senior kinesiology student at UNCG who plans to become a physical therapist after graduation. He became a CrossFit coach because it seemed like a great way to get hands-on experience with people in an exercise setting. “I saw it as a direct application of what I am learning in all of my classes, as well as an application of my own experience. So I saved up enough money to get my Level 1, and I have loved every minute of it since,” he says. 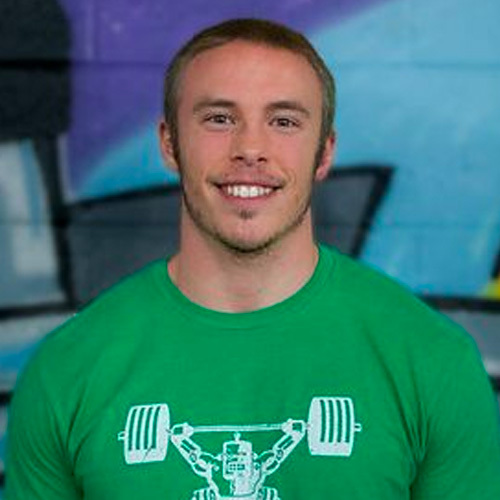 Daniel is passionate about helping others improve their mental and physical condition through exercise. “I like for others to understand that what happens in the gym translates to other areas of life, and there is a lot you can learn about yourself through exercise,” he says.